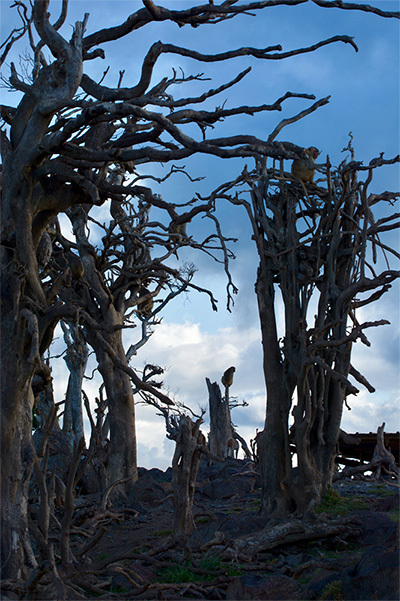 2018 marks the 80th anniversary of the Cayo Santiago Field Station and the first anniversary from the devastation wrought by Hurricane Maria. 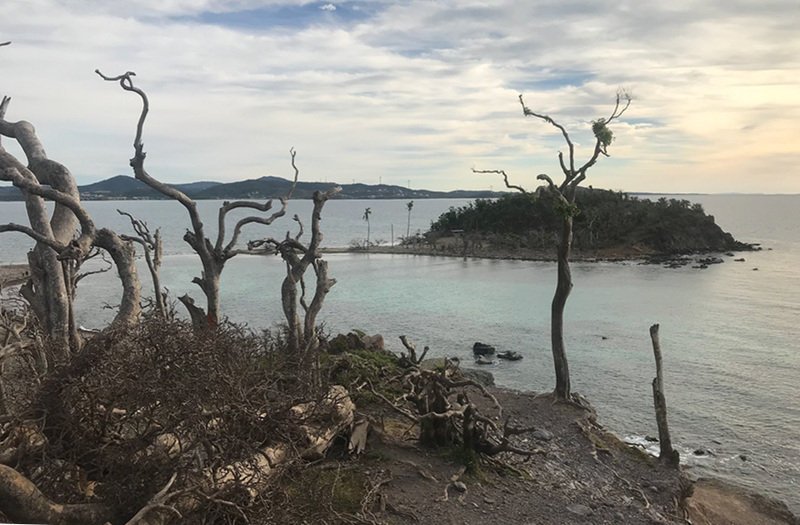 CPRC confronted the challenges of recovering from the disaster and ensured that Cayo Santiago continues to be a center of research excellence. The success of the recovery was made possible through the extraordinary effort and sacrifice of the CPRC staff, civic organizations and foundations, volunteers, and visiting researchers. While the disaster presented a temporary disruption to scientific activities in Cayo Santiago, we have since reopened the field site for the continuation of researches into rhesus macaque behavior, biology, and ecology. We received students and volunteers this year to help them gain practical experience in behavioral research methods and rhesus colony management. Since the 1930’s, the discoveries and ideas that grew out of Cayo Santiago have been foundational in the sciences, especially in the field of primatology, animal behavior, and medicine. We pay our deepest respects to the early investigators, like Clarence R. Carpenter and his students, who had the vision to undertake a pioneering project of creating a semi-natural environment for rhesus macaques. CPRC also acknowledges the succeeding generations of scientists and students that contributed to making Cayo Santiago a premier place to conduct field studies. The importance of Cayo Santiago in the advancement of the sciences in Puerto Rico and the world was recently highlighted with the enactment of Act 128 of Puerto Rico, Ley para la Promoción Educativa y Cientifica de la Colonia de Monos de Cayo Santiago (Puerto Rico Law for the Promotion of Education and Science of the Cayo Santiago Macaque Colony), which designated the island as a scientific reserve. Hurricane Maria was an opportunity for CPRC to extend our solidarity to the communities surrounding our field site. Together with the rest of the UPR- Medical Sciences Campus and the government of Puerto Rico, CPRC played a critical role in rebuilding Punta Santiago’s faith in their capacity to rebuild their lives after Maria. This mutualism between Punta Santiago residents and the Cayo Santiago community is rooted in a long tradition of solidarity. 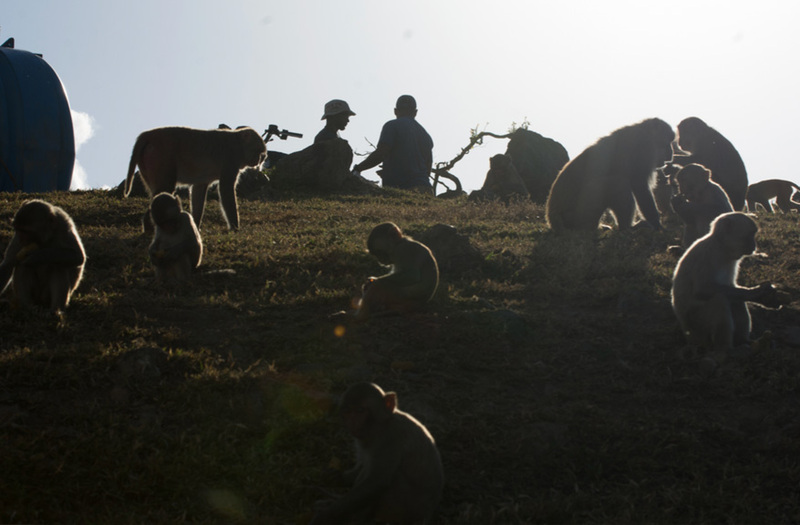 In the late 1940’s, the rhesus macaques of Cayo Santiago were able to survive, even with the lack of funding, through the support of the residents of Punta Santiago by “bring(ing) vegetables and fruits out to Cayo Santiago to feed the monkeys.” This practice sustained the population until Puerto Rican scientist Jose Guillermo Frontera was able to secure a steady source of funding for the macaques during this period [Kessler and Rawlins 2015]. With this in mind, I want to reiterate my profound thanks to those who stood by the Caribbean Primate Research Center and the Cayo Santiago Field Station. This support encourages us to do our very best in ensuring the welfare of the Cayo Santiago macaques and in providing an ideal place for good scientific practice for researchers and students.